Another week has flown by in the BIG 5 competition and we have again seen some fantastic entries roll in. Photo Competition - WIN a shirt over the next 10 days! The photo competition category of the BIG 5 has little entries at present, and with a prize of a GoPro2 up for grabs we want to see some more of your best shots! So from this Friday the 3rd until Monday the 10th, GBR Bluewater Charters is holding a competition in conjunction with the Adreno BIG 5. You can win one of their NEW Bluewater Kid T-Shirts featuring Brandon Whalers with a monster Dogtooth Tuna. 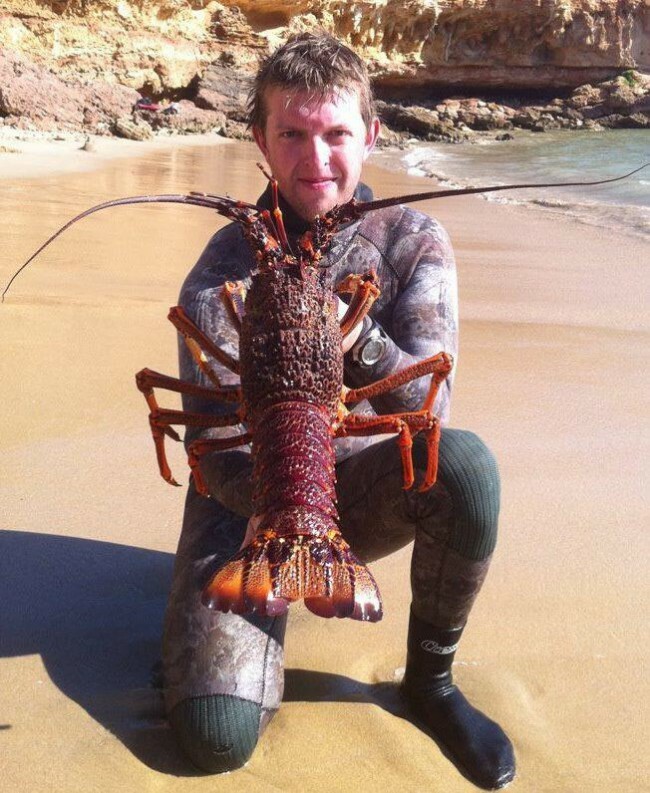 All you need to do is enter a photo of a fish or crayfish that you have weighed into the BIG 5 competition. For example, if you have weighed a Spanish Mackerel in, you can enter an awesome photo of a Spanish Mack for the photo competition. Simply LIKE GBR Bluewater Charters on facebook by clicking here and TAG them into your picture when you post it on the Adreno wall. Easy! Your picture may even feature on the next Bluewater Kid T-shirt!!! So get shooting, get snapping, post it on the Adreno page and then TAG GBR Bluewater Charters for your chance to win. The biggest Crayfish category has had it's first shake up. Duncan Croll's 2.7kg entry has stood for the past 3 months but was beaten by Nathan Watson's 3kg Crayfish weighed in early in the week. We have had two new competitors added to the scoreboards this week - Benn Jillet and Rhys Drury. Benn weighed in a cracking Jack of 6kg. 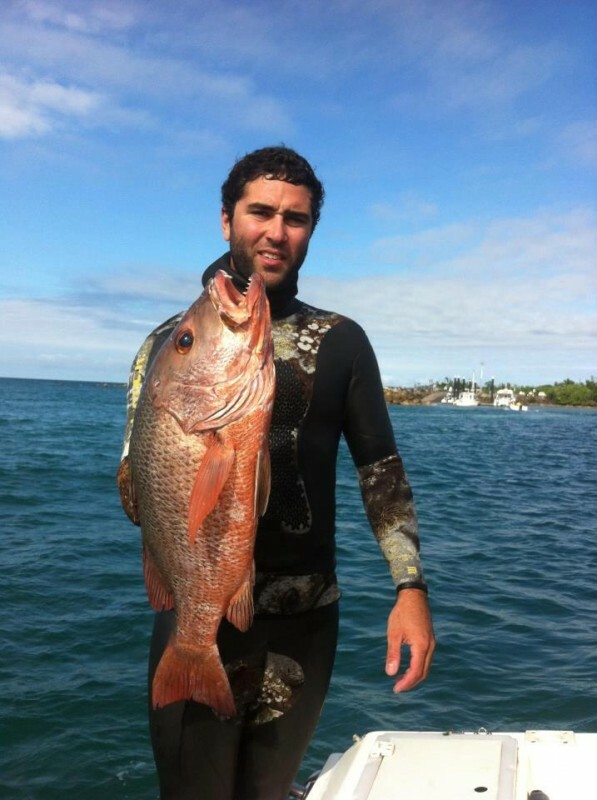 Rhys weighed in a heap of fish including a Mangrove Jack, Parrotfish and Kingfish which will place him towards the top of the scoreboard when it is updated on Friday. Dr Whoo is also consistently ticking off his species, weighing in a fantastic Parrot, and a Spanish Mackerel which was just short of the qualifying weight of 8kg for a Game 5 category fish. He assures us he will keep hunting for a bigger specimen! It is also looking like Bryson Sheehy's 13.9kg Red Emperor, that he weighed in for the Most Meritorious Senior category to win a pair of DiveR fins from DiveR Australia, might have some competition! Dr Whoo landed what would have been an Australian Record MONSTER Red Throat Emperor. 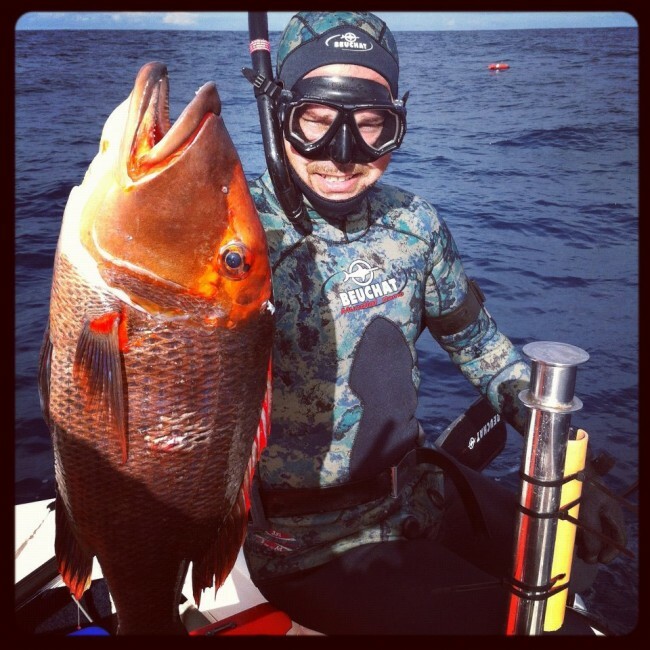 At 5kg it is the biggest Red Throat I have ever seen landed- a fantastic and well deserved fish. Too bad Dr Whoo wanted to eat the fish so quickly or he could have claimed the record. But not to worry, we are sure that Dr Whoo and his trusty Aimrite speargun will be picking up a few more top fish like that in the future. The current first place competitor only has a few species weighed in and with the competition running until the end of the year there is still plenty of time for YOU to be the Adreno BIG 5 2012 Champion. Good luck!